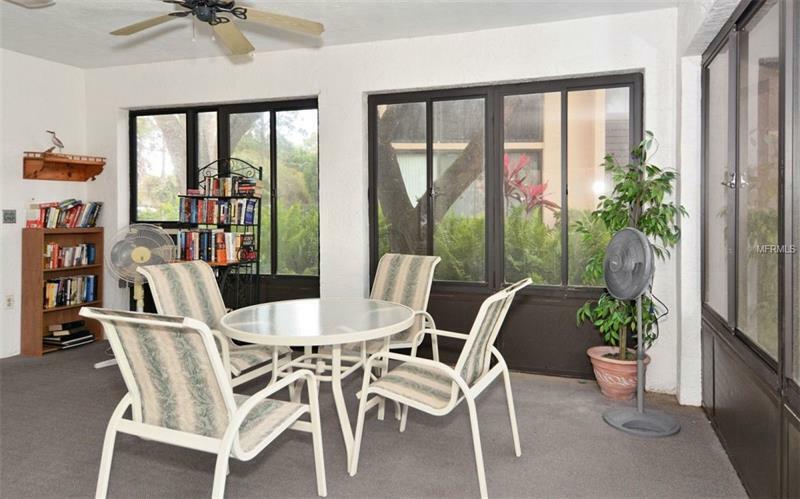 Do you want privacy and own a condo? 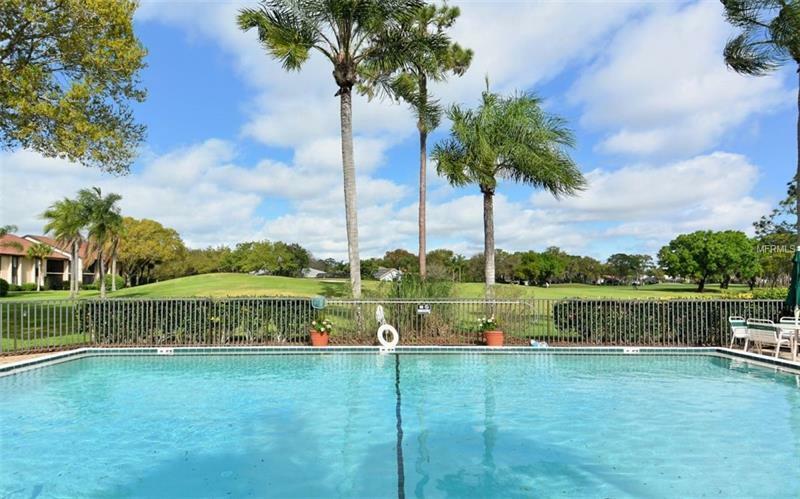 A paradise found! 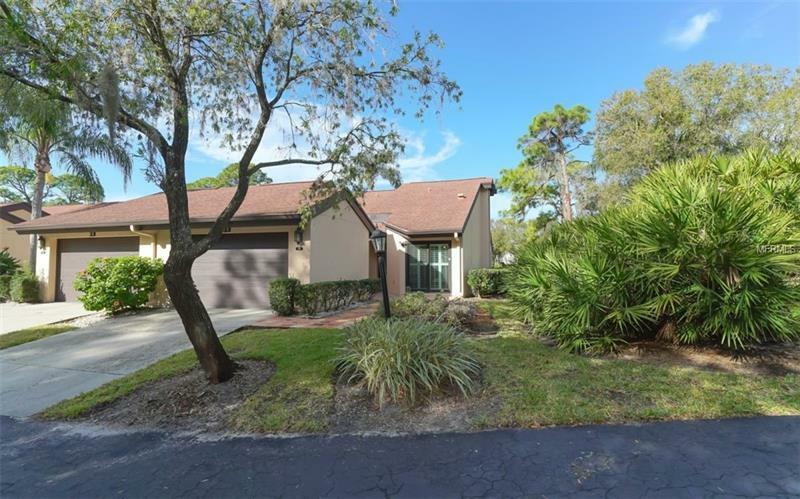 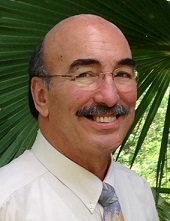 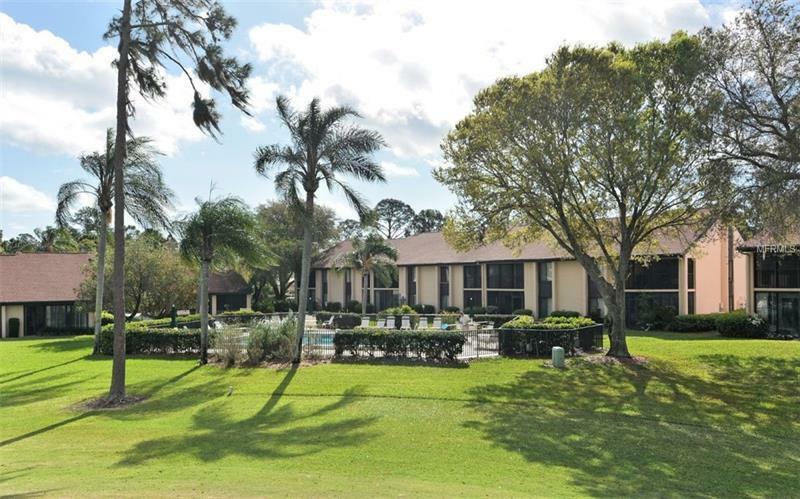 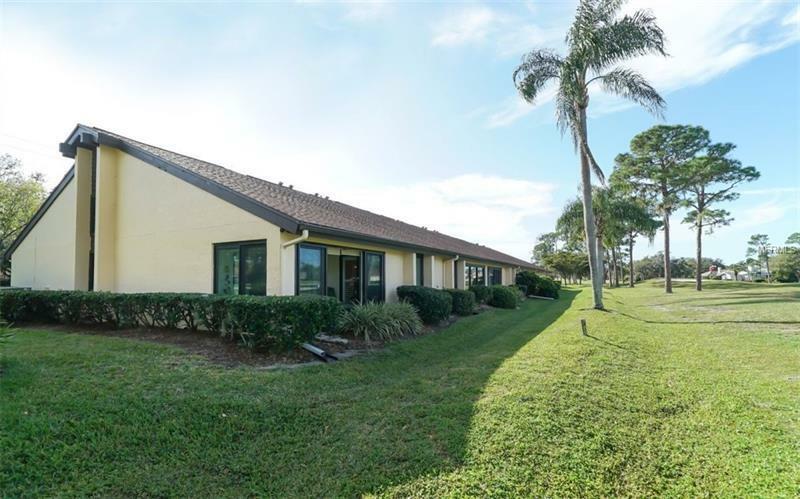 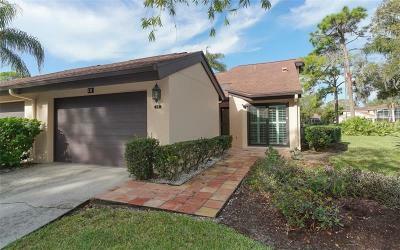 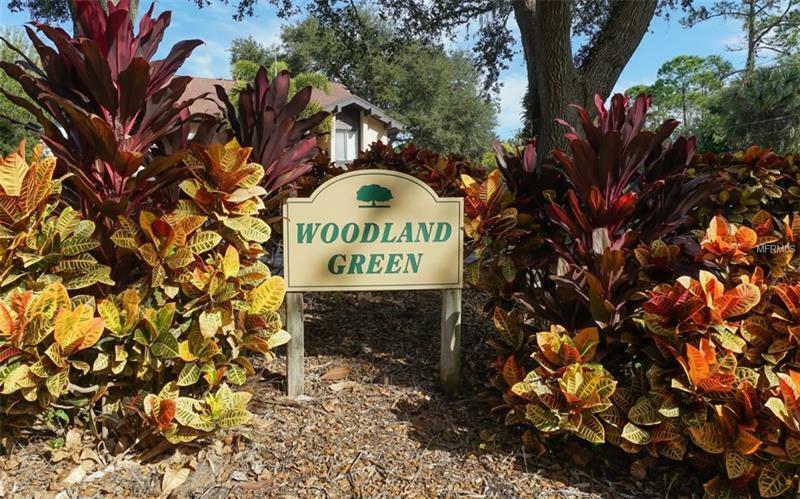 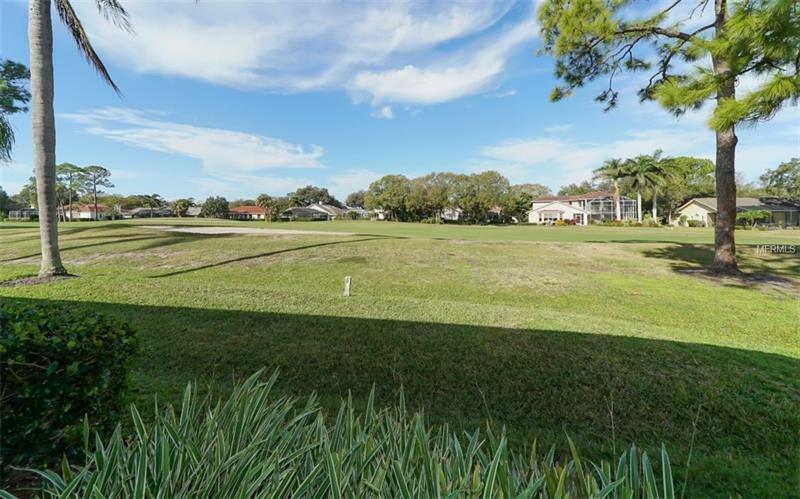 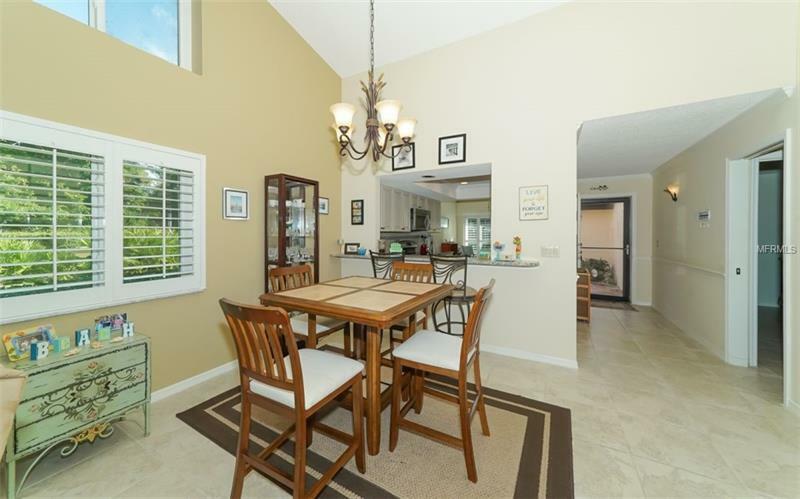 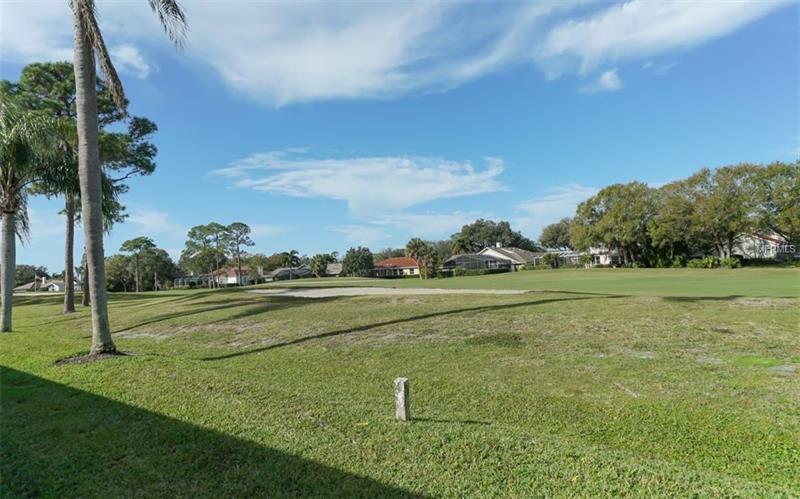 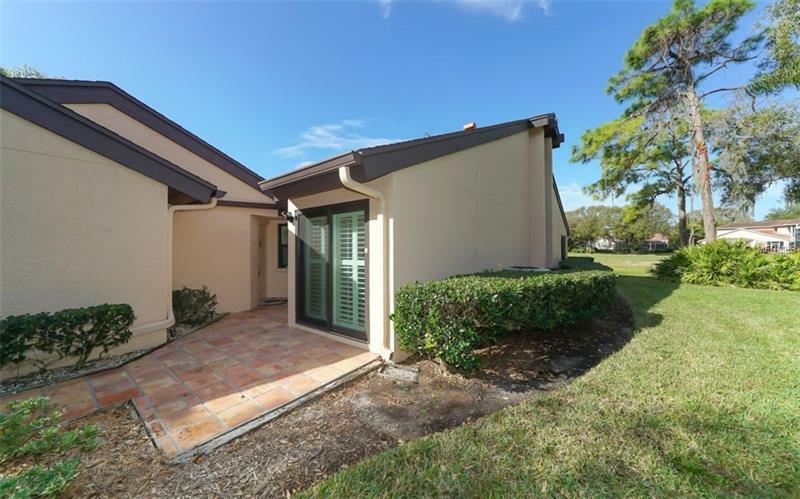 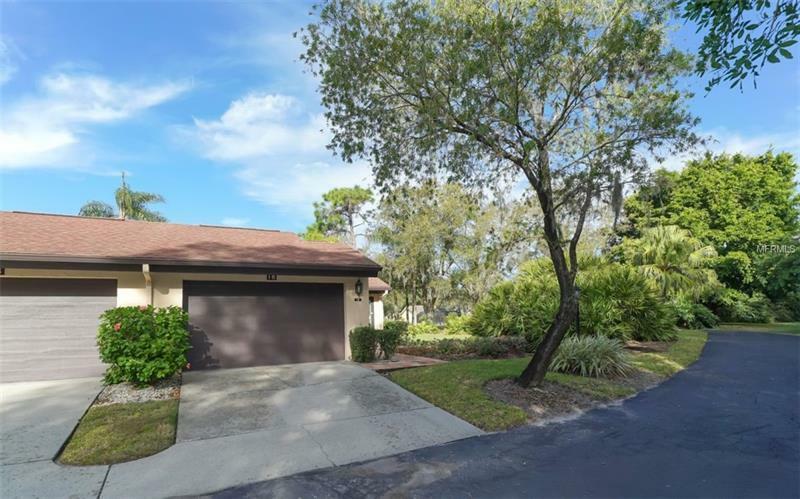 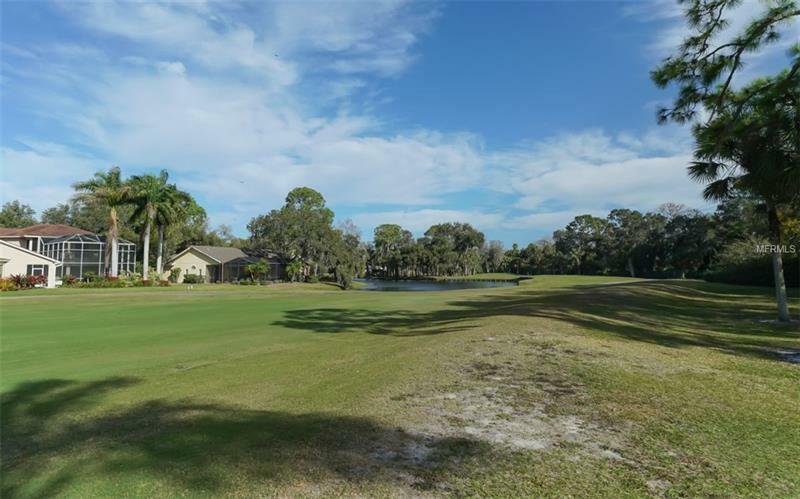 One of a kind at Woodland Green at Palm Aire. 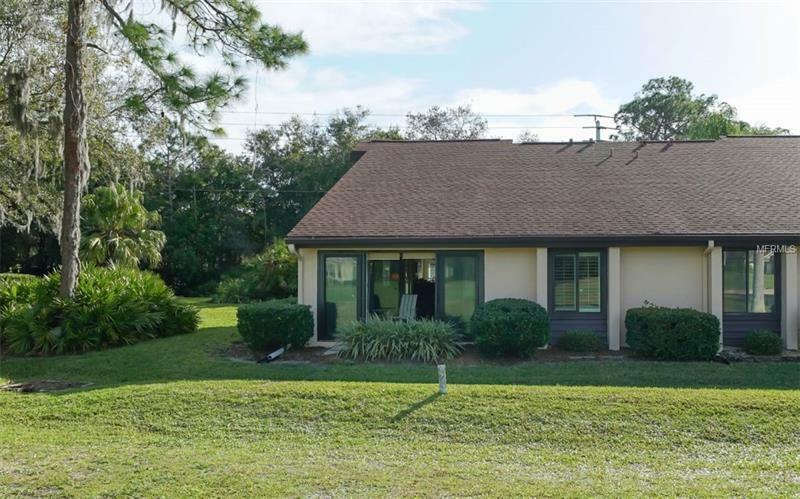 The only end unit without a neighbor on one side! As you enter, your eyes are drawn to the magnificent view of the golf course and pond. 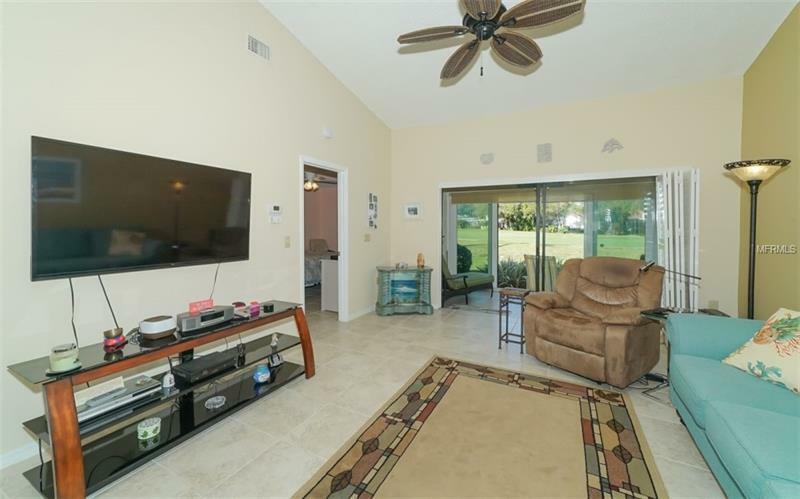 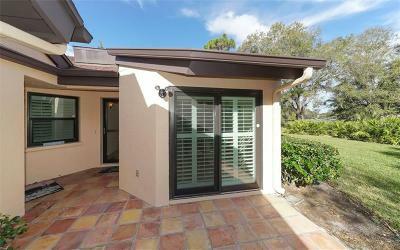 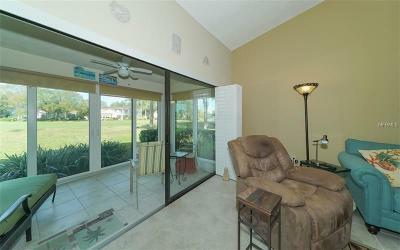 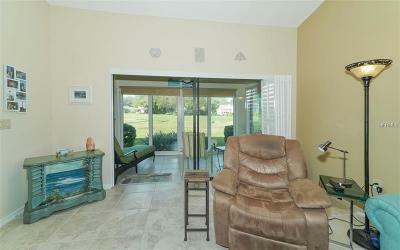 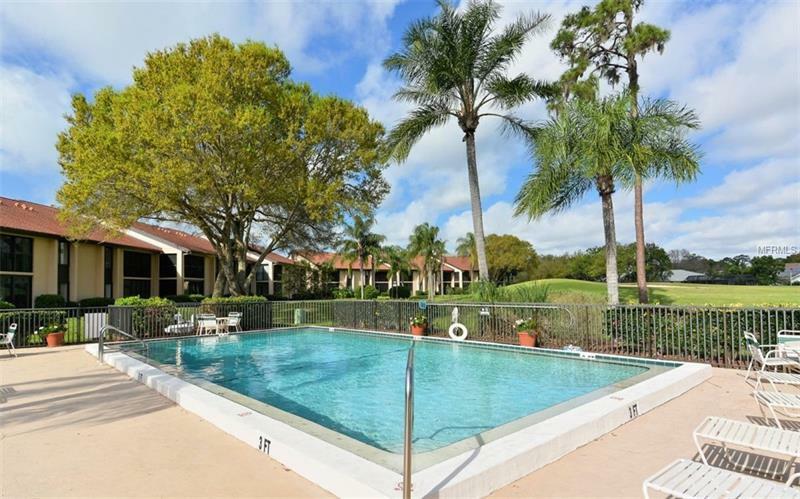 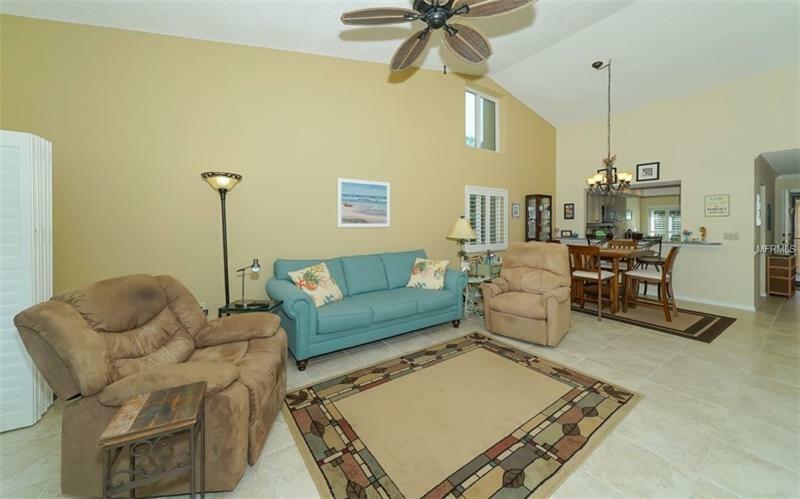 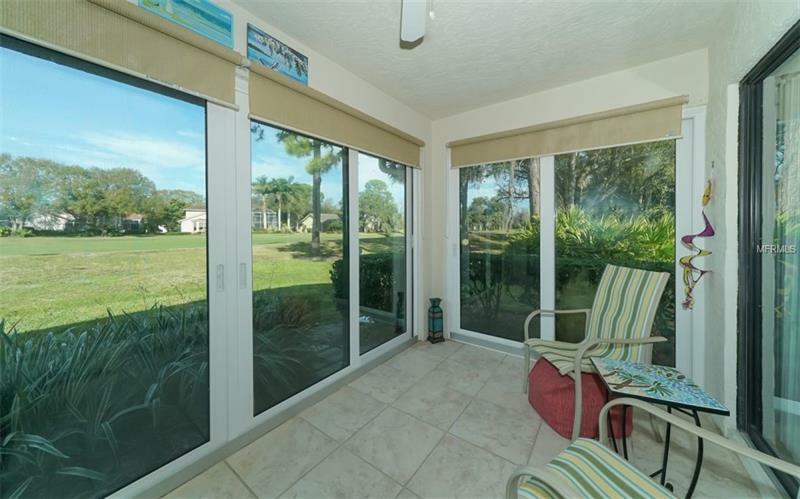 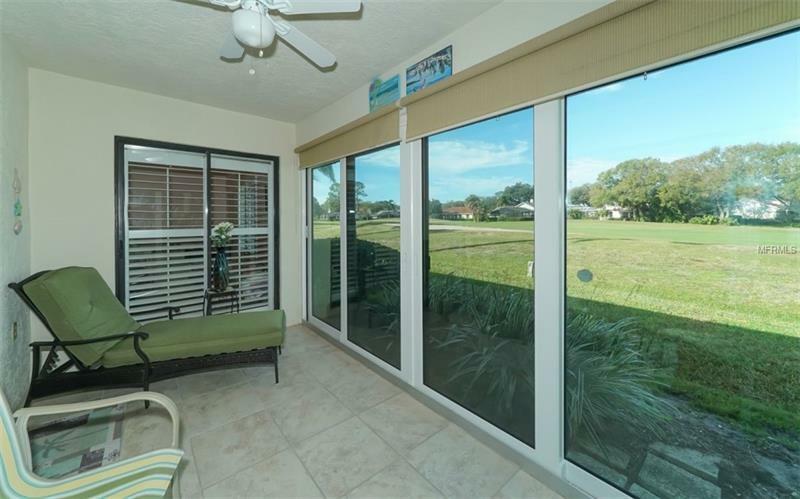 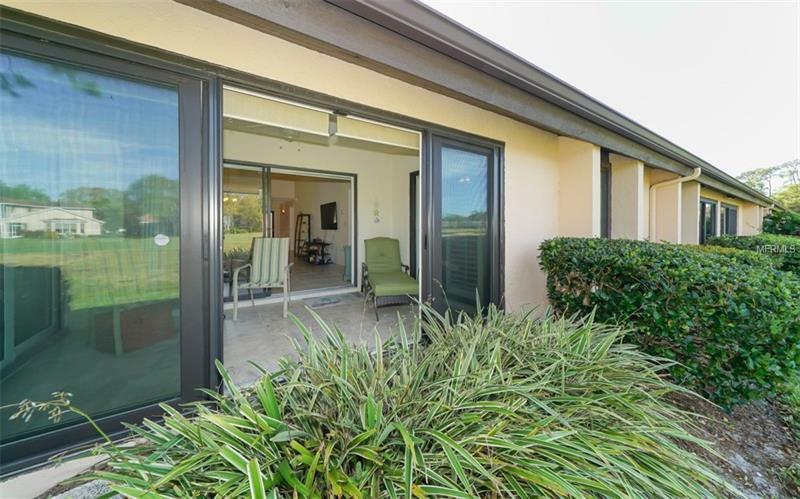 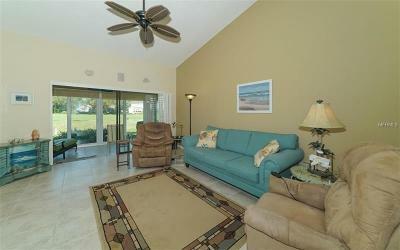 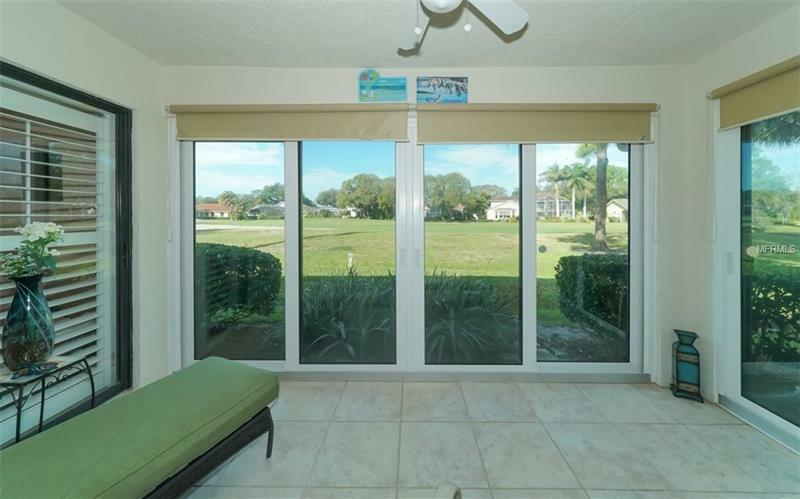 You picture yourself relaxing on the enclosed lanai with a glass of wine or a good book. 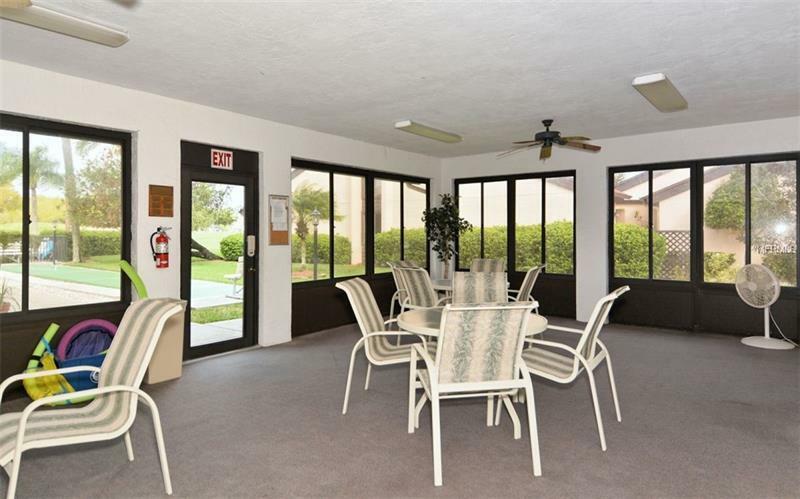 The scenery is ever changing, never a dull moment. 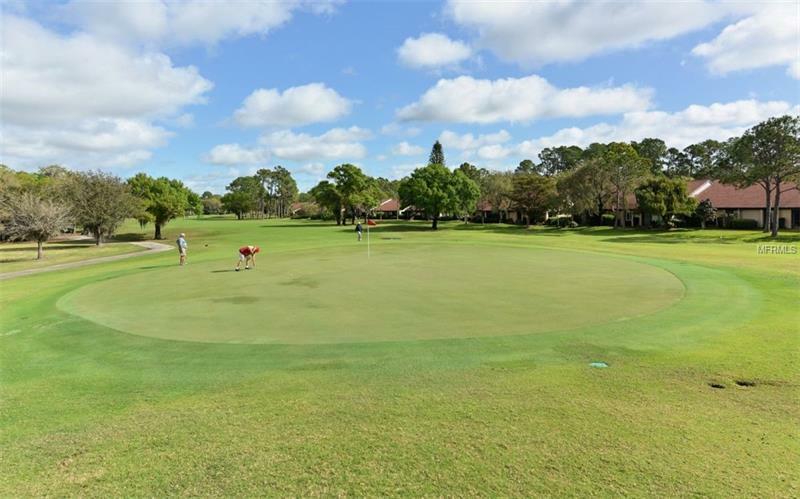 You may spot wildlife or a few golfers trying their best to make a hole in one. 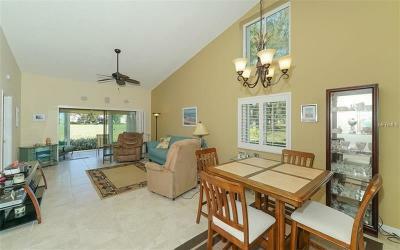 Inside, the cathedral ceiling makes this place light and airy. 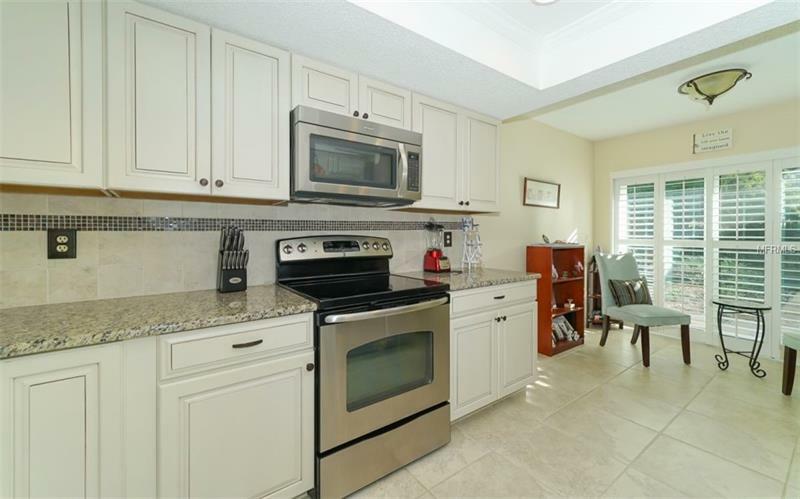 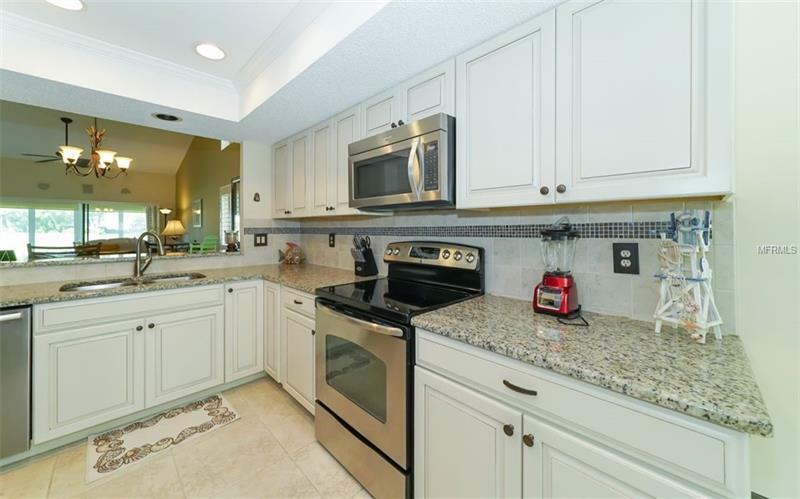 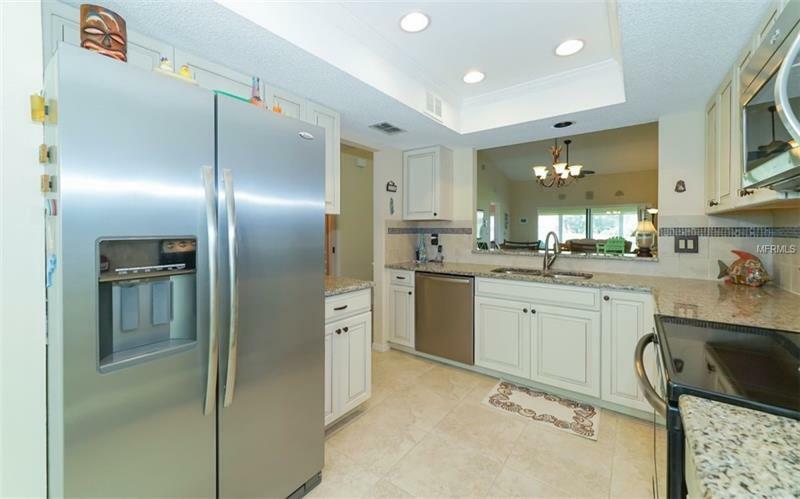 You can't wait to entertain your friends, your kitchen boasts gleaming granite counters and beautiful wood cabinets. 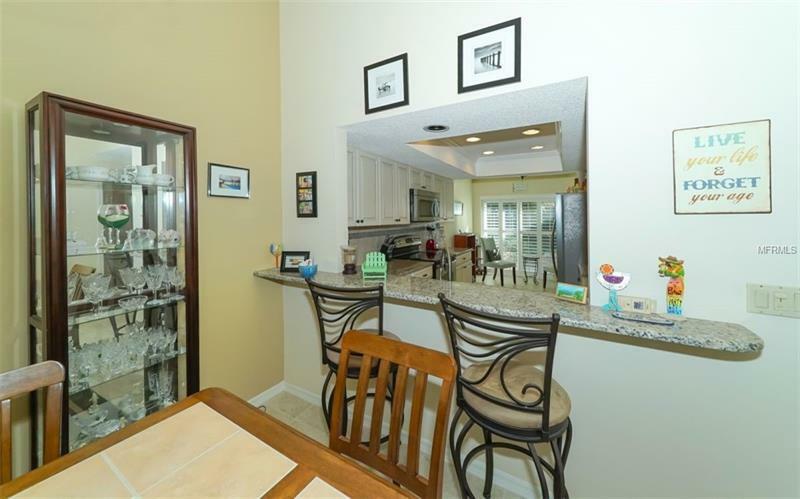 A cozy corner of the kitchen is where you will have your breakfast and ponder your day ahead. 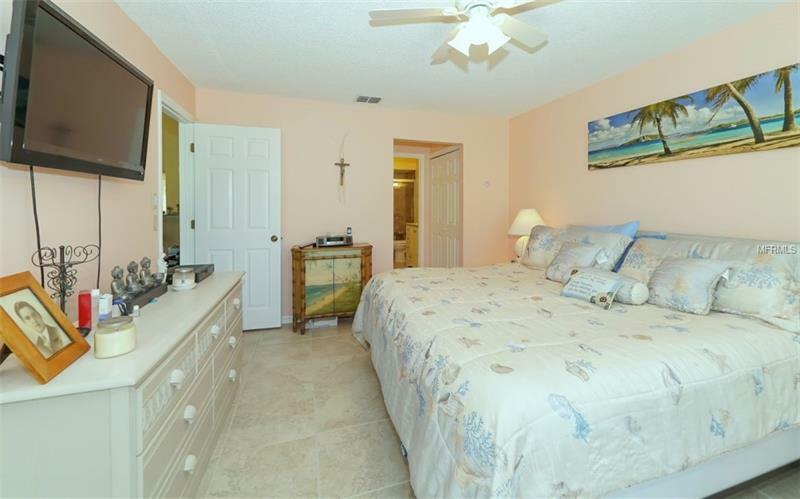 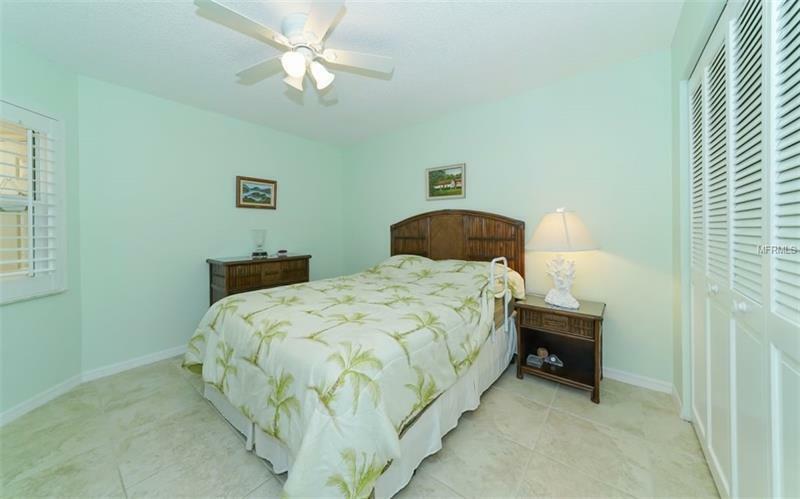 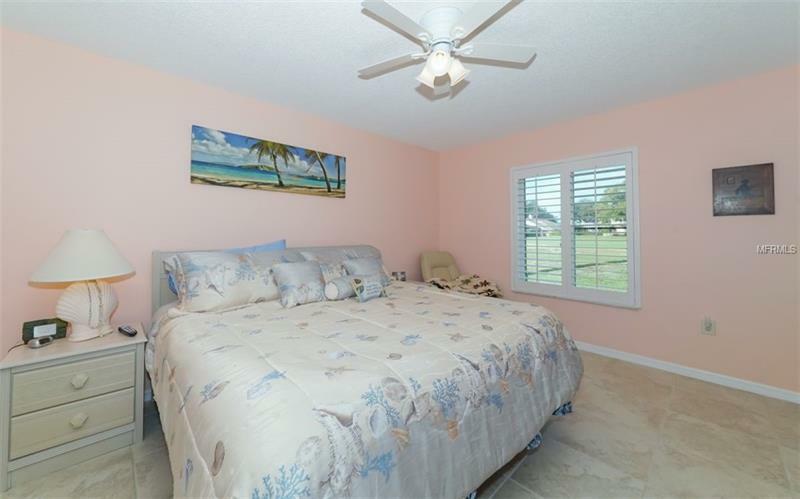 The master bedroom is an oasis, the unlimited view from your bed is so tranquil, you just don't want to get up. 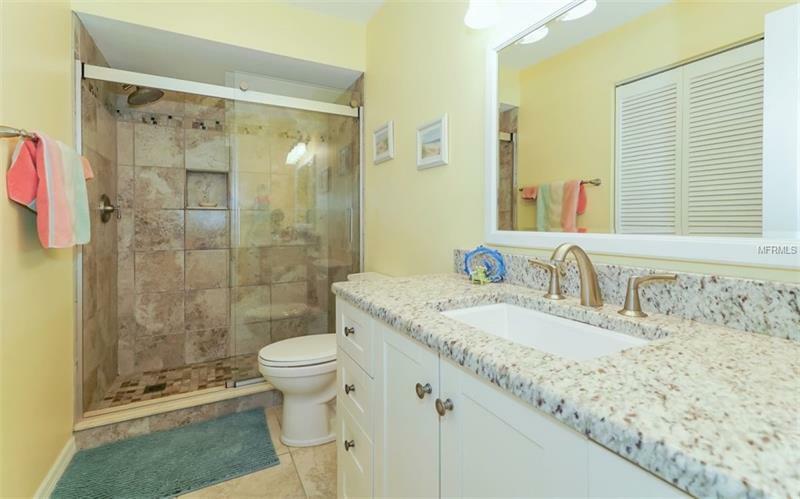 Your ensuite updated bathroom sparkles with its granite counter and beautiful tiled shower. 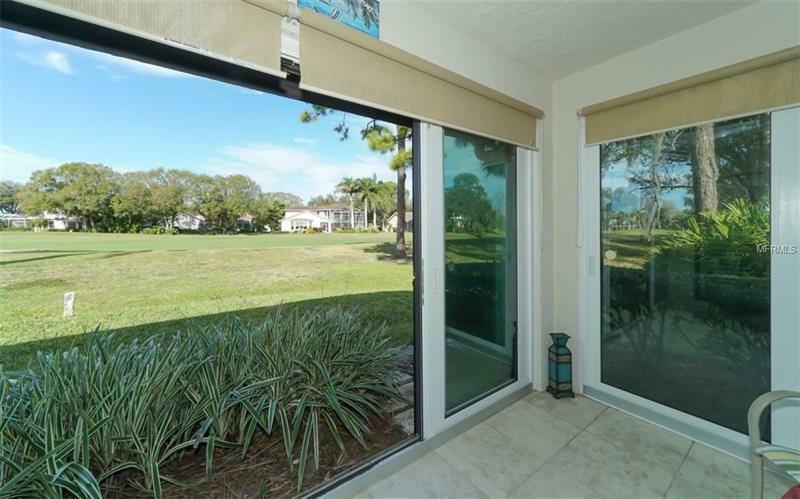 Your guests will not want to leave, the window from their bedroom offers serene wooded views and is so relaxing. 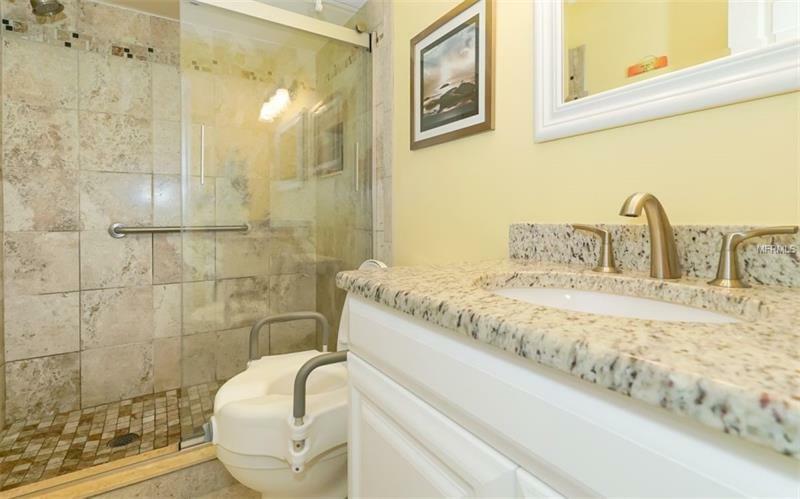 The adjoining bath is superbly updated. 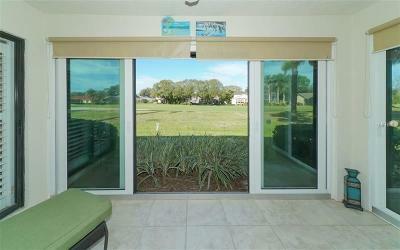 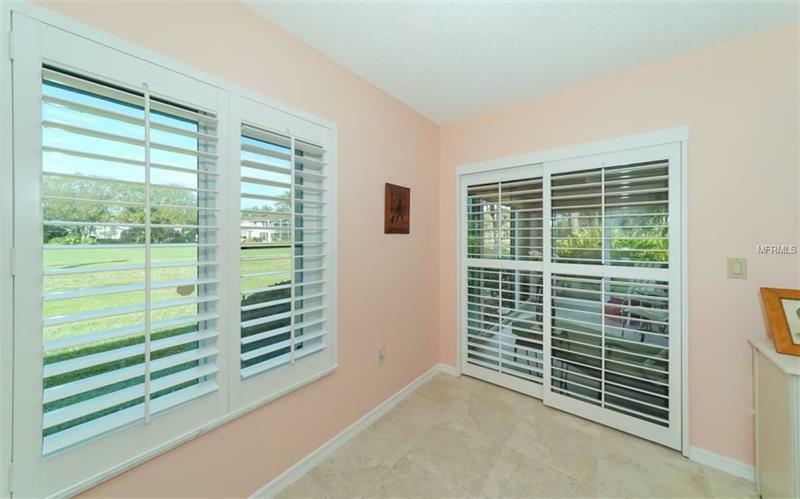 You feel safe, all the windows and sliding glass doors are hurricane proof! But wait, the garage is oversized, you could add a golf cart and the drop down stairs to the attic is where you can store all your stuff. 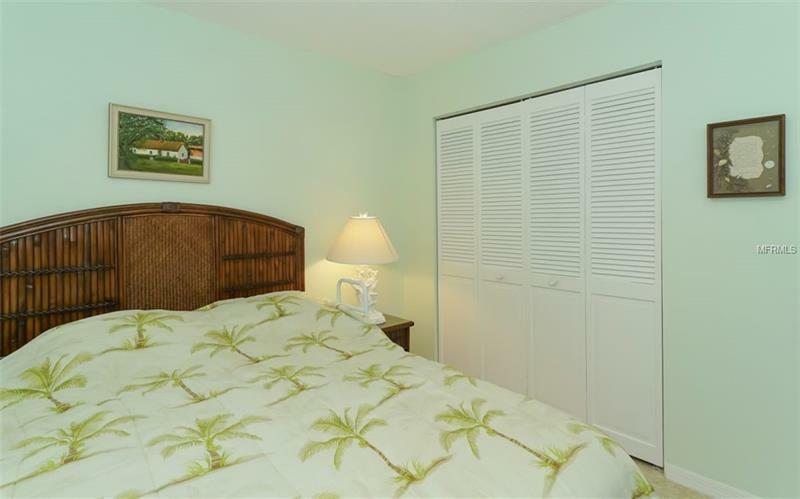 The laundry room is quite adequate and houses a newer tank less water heater. 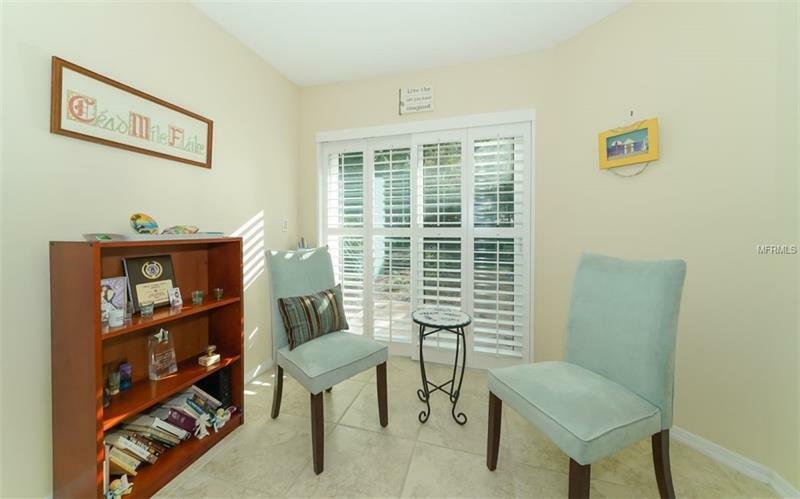 The location is perfect, minutes to the UTC mall where shopping and restaurants abound. 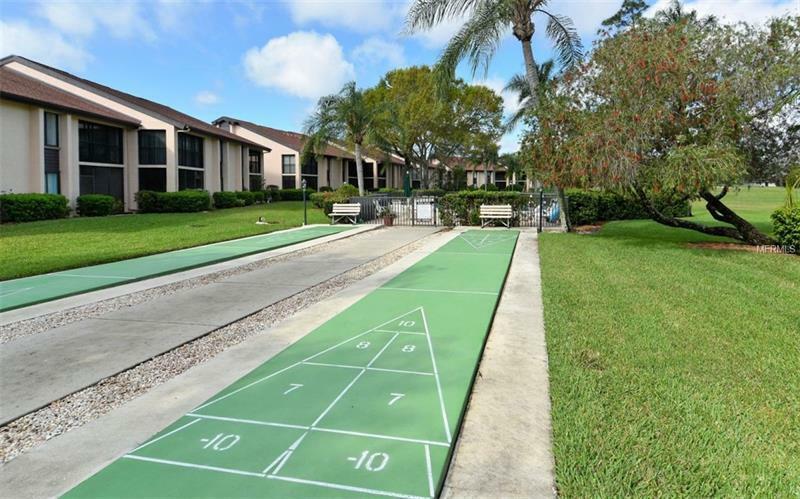 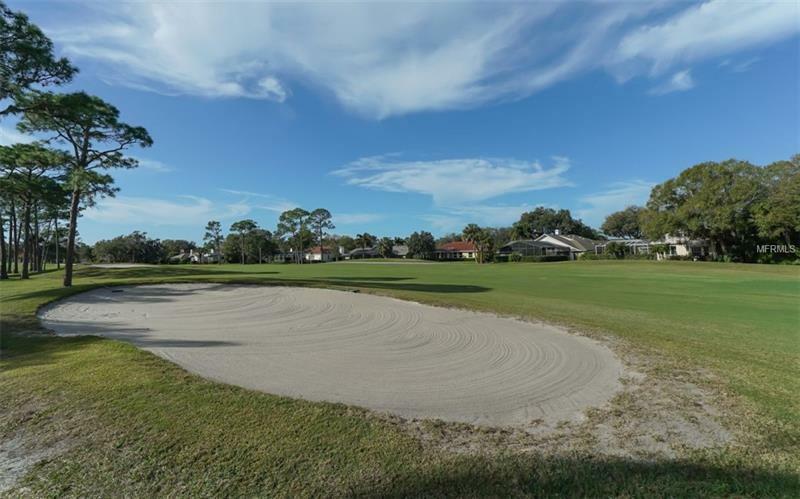 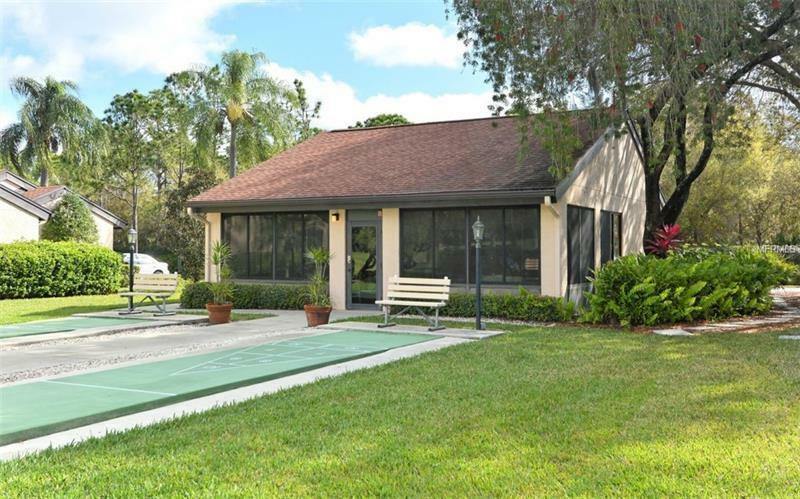 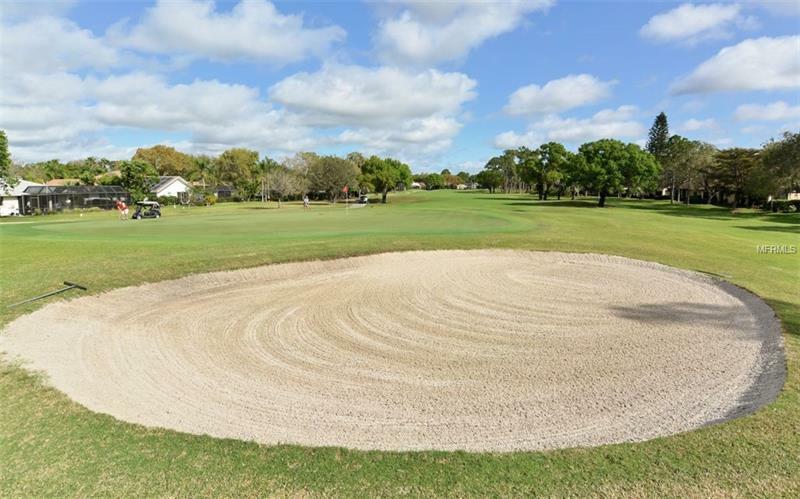 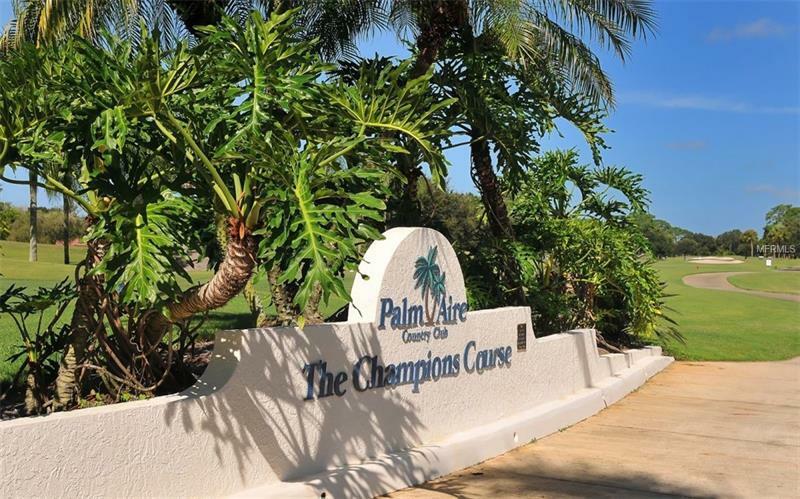 Palm Aire Country Club offers golfing and social memberships.